Traveling Asia in December is an excellent escape for the holidays—but you're going to have to look hard for a white Christmas if that's a priority. After packing the proper attire, there are a ton of events, festivals and activities to keep any visitor busy across the region. Temperatures in Southeast Asia will be even more pleasant than usual, with inclement weather less of a concern than during other times of the year. December is a comfortable month to travel in Thailand and neighboring countries as the monsoon season finished in November. Rain isn't a serious disruption, and days aren't nearly as hot as they will be in March and April. China, Japan, Korea, and the rest of East Asia will be cold. You'll have to escape to the southern parts of these countries to enjoy milder weather. The average temperature of Seoul in December is 32 degrees, in chilly Beijing, expect an average of 28 degrees, and Tokyo does a little better with an average temperature of 46 degrees. While Singapore maintains a pretty steady climate and receives rain year round, December is often the wettest month out of the year. Destinations such as Bali and much of Indonesia will be getting heavy rain in December. Bali and neighboring islands are best enjoyed in the spring and summer months. The Himalayan destinations in North India and Nepal will be plagued with snow. Many mountain passes and roads become closed, but if you are willing to brave the weather, low humidity and fresh snow provide the most impressive scenery on earth. December is one of the best months to travel in much of India. Not only will the monsoon season be long over, but temperatures are also still bearable. You may be able to get by with just three showers per day rather than the usual four required to survive the 100+ degree daily temperature in New Delhi. Rajasthan (India's desert state) enjoys pleasantly cooler evenings than usual during December. As long as you don't go too high in elevation, almost all of India enjoys nice weather in December. If India becomes too busy, December is a great time to grab a low-cost flight down to Sri Lanka for some beach time in the southern part of the island. During December, these countries offer warm and sunny days and cool, comfortable nights. Pack a parka and umbrella if heading to these spots that are likely to be cold and rainy. Any of these big festivals and holidays in Asia may affect your travel plans if you're in the area. Note that December 31st is celebrated as New Year's Eve by expat communities and some Asians, however, not nearly with as much gusto as the Western world. The real celebration begins a month or so later with the start of the Lunar New Year, commonly called Chinese New Year. Christmas: (December 25) Christmas is celebrated with excitement in a few countries throughout Asia, most notably the Philippines. Kings Birthday in Thailand: (December 5 and July 28) King Bhumibol's birthday on December 5 is an annual event in Thailand. Following his death in 2016, the new King of Thailand's birthday is July 28. The monarch is honored with fireworks, candles, and a moment of silence. Dongzhi Festival in China: (Dates vary, but around December 22 each year). The Winter Solstice Festival in China welcomes the arrival of winter. Thailand Full Moon Party: (Monthly; one party for Christmas and another party for New Year's Eve on December 31st) Although the party takes place monthly, the December party is especially rambunctious. Shogatsu in Japan: (Begins around December 30) Japanese New Year is one of the favorite festivals in Japan. The epicenter of the celebration is at the Imperial Palace in Tokyo. Emperor of Japan's Birthday: (December 23) The Emperor of Japan's Birthday is one of only two days each year that people are allowed access to the palace grounds in Tokyo. Although it's mostly been adopted from the West, Christmas has become somewhat of a "thing" in Asia with holiday celebrations all across Asia. 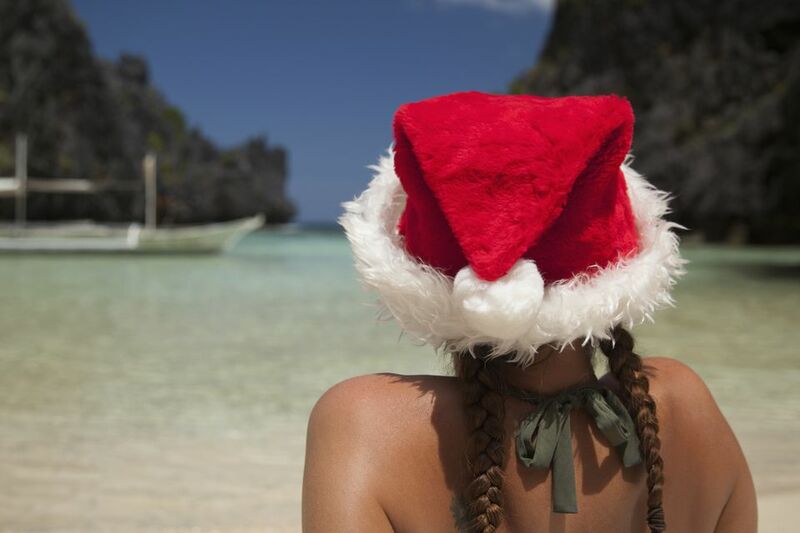 Goa in India has a sizable Christmas celebration, as does the Philippines. For the most part, December 25 is just another work day, but there are still a few spots to celebrate the holiday. Without question, the Philippines — the largest Catholic country in Asia — is the most enthusiastic about celebrating Christmas. The country kicks-off the holiday spirit with Christmas music and see decorations in early October. Singapore has scores of expats, foreign workers, and plenty of Western-influenced trends, so is another good location for getting into the Christmas spirit. While Christmas in Asia certainly isn't the large-scale commercial event it is in the United States, big malls may give Christmas a shout out by decorating trees or holding special sales.